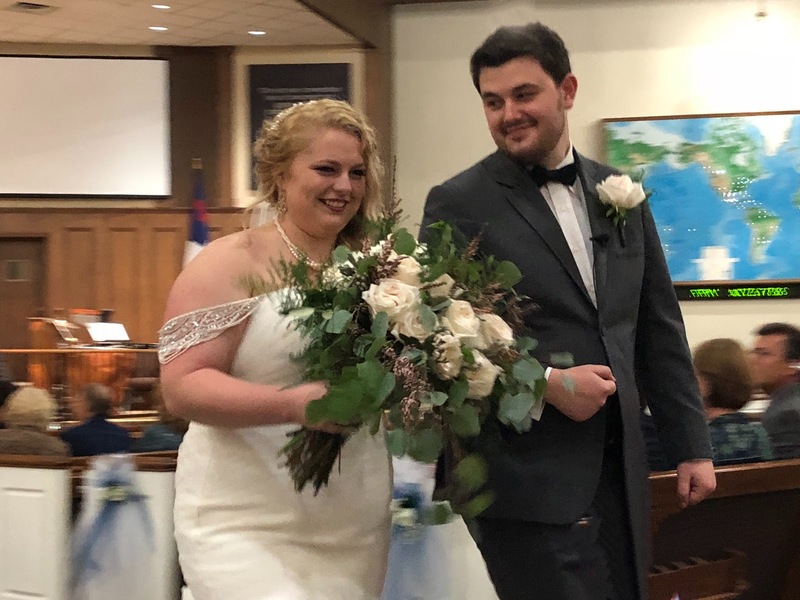 My nephew and his new bride. Such a lovely couple. The roofers came last Thursday and finished yesterday and God protected us for the last month or two that with all the rain, we had no more leaks. Thank you Jesus. Time with this girl and her boyfriend this weekend. So much fun! Birthday breakfast out with my hubby Saturday. 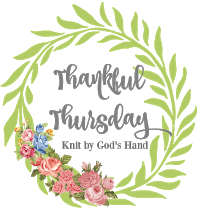 If you'd like to participate in Thankful Thursday, just write your post and click here to link up. YAHOOOO on the new roof! We need to get one ourselves... & a new fence... & a new kitchen & a new bathroom ;) To say we need to put a lot of money in our home is an understatement. Love your daughters dress!! That's so cute! Wonderful things to be thankful for! I'm so glad you got your roof on without having to endure any more leaks. That is so not fun. 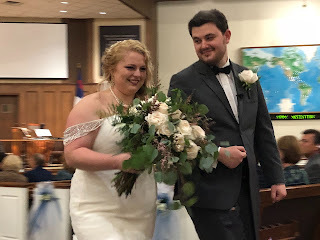 Love the way the groom is looking at his bride. <3 That looks like a Cracker Barrel breakfast!